Most of the stainless steel sheet comes in big sizes, like 1000*2000MM or 1219*2438MM or 1500*3000MM. 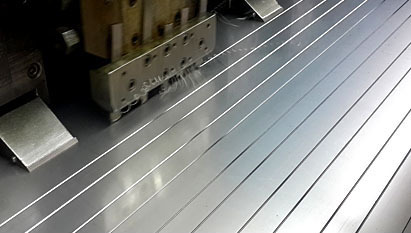 We, as a professional stainless steel material supplier, also provide wonderful sheet cut to size service. We are engaged in rendering stainless steel shearing services to our valuable customers. No matter how many small sizes you have, our professional team will come up with a detailed solution to your requirements, shearing the whole piece of sheet into small pieces, maximum make use of the material, ensure the costs fall in your budgets, save your time. Think you have a shearing center in China, work under your instructions, and we Goldeco would be delighted to be of assistance to your business, take good care of your business. Goldeco offer an extensive array of advanced and standard stainless steel processing services not just shearing, but also bending, some of the sheets cannot be used without shaping, as bending involves much more precision, it might be bent for glass cladding, a long channel, or ceramic wall line cladding, or some panels which cabinet or parts, we will need a detailed CAD drawings to understand the requirements correctly, once the sheet is fabricated, it will never be repeated like cloth, can be iron smoothed. The finished ones are of good precision and perfect for decoration, no matter the bending angle is big or small, stainless is thick or thin, we will have a way. As you may have known that the thick stainless steel sheet, when you bend it to a 90 degree, you will see a big arc at the corner, seems not much beautiful and not neat, typically when you use it for decoration or cladding, you will see the joint parts seems not always perfect, here comes a solution, V-Grooving on the surface, to less the sheet bending part thickness, and make the angle just like thin sheet, nicely at outlook while maintain the same strength, the depth can be adjusted according to the thickness of sheet, maximum thickness reaches 6mm, and less it to 0.6mm, and length maximum at 4000MM, the V-grooving is processed by CNC machine, quite good at precision, when you take it back, just shear and bend, easy for you to make good products. 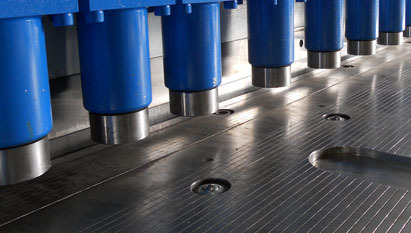 Laser cutting is an effective, relatively low-cost method of producing parts and shapes without tooling costs, precision cutting of sheet materials.it can cut a sheet into different sizes and shapes as per your CAD drawings. 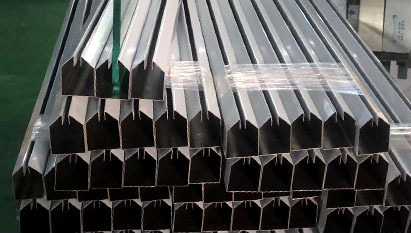 Good quality cut edges can be produced with little risk of distortion to the steel, and the edges remain good quality as cut, no blurs and clean. 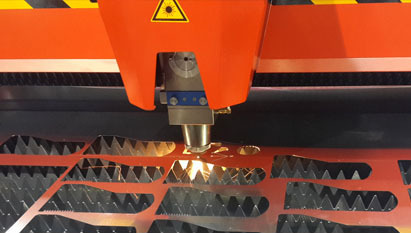 As laser cutting is not like other cutting methods, it has no contact with the materials; therefore it was considered the best way to cut, as laser cutting will create high temperature. Thus it will need a good PVC film over the service to protect the sheet which the surface finished like No.4, Mirror, Colored or any other further protection, standard PE film will be melt or blow away by the shield gas. 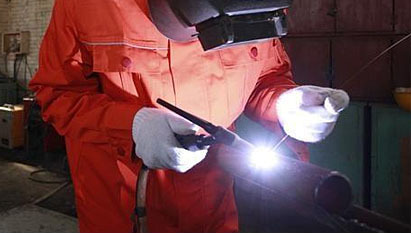 We understand welding is not a difficult job for most of the stainless steel buyers, they have the skills of how to welding the stainless steel, and the investment for the welding machine is not expensive, while if you just have demand for a small quantity products, while need not in significant quantity, then we might be able to help you with this, cut and bend, then welded here till you get the finished products, we do believe it will save you lots of time, energy, and money, because you just need to tell us exactly what you want, then we will come back to you with the finished products, it will be much easier for you to expand your business.